Yes friends. 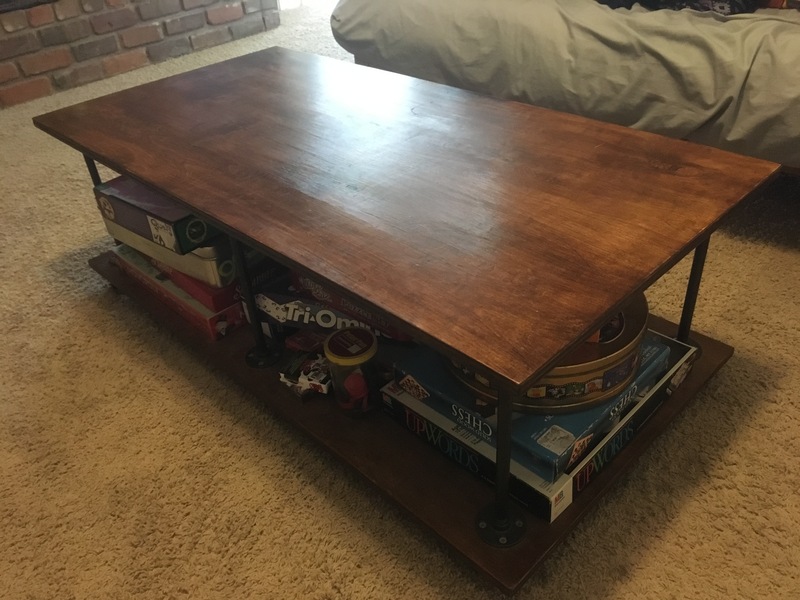 We have come to the final Oldie But Goodie project: A coffee table match for the Shoe & Hat Rack. Ah yes, time for another Oldie-But-Goodie project. And pretty much self-explanatory! 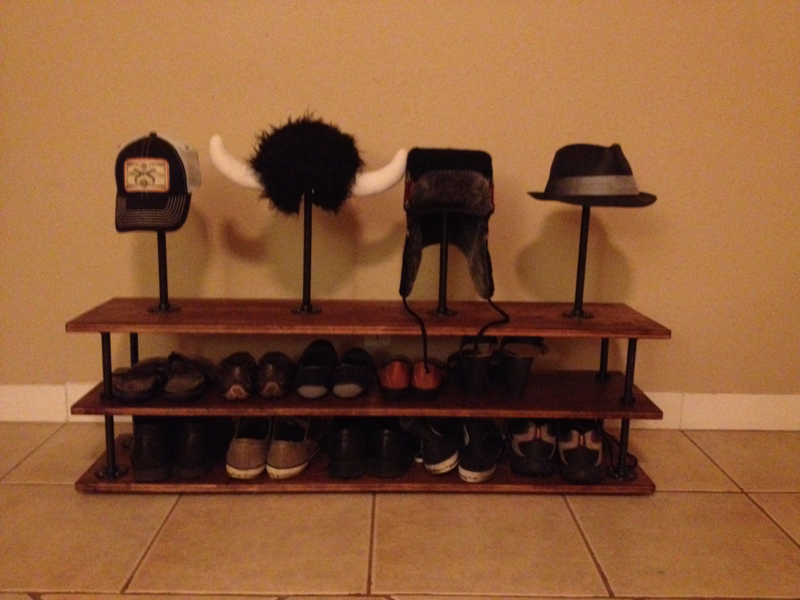 Back in 2013, my wife asked me for a shoe rack, and I thought adding a few hat stands would be a nice touch. 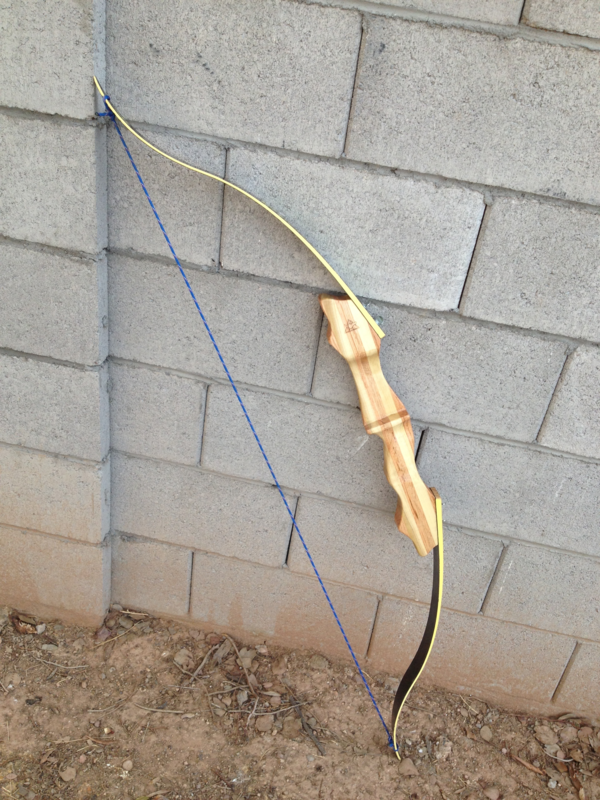 I am a big fan of archery. I have been since first taking up a bow during a P.E. class way back in high school (arguably the best part of my high school experience, P.E. or otherwise), feeling the tautness of the string as I drew the arrow back, and the sweet satisfaction of nailing the target upon release. My dog is not a large dog. At roughly 25 lbs and 13″ shoulder height, he’s not that far off the ground to really legitimately need a raised dog dish holder.